In his excellent book, The Growth Map, Lord O’Neill, formerly chief economist of Goldman Sachs, wrote that ‘India could overtake Japan in the next 20-30 years to become the third largest economy in the world’. Some commentators even compare India to China. They explore whether India will grow faster than China and in the coming decades become the largest economy on Earth. It may be hard to imagine a former ‘third world’ country becoming a major economic powerhouse, but many historians will tell you that until the industrial revolution India together with China may have accounted for over 50% of global GDP. So perhaps it will merely be a case of history repeating itself (or back to the future, depending on which way you look at it). In any event, if economic forecasts are accurate India may well offer many exciting opportunities for investors, particularly those hunting for dynamic growth stocks. 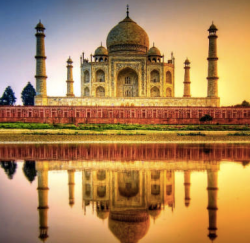 So in this article I’ll explore India’s investment case and explain how UK investors might be able to take their first steps. Why invest in Indian stocks? ‘India’s demographics are astonishing. Over the next twenty-five or thirty-years, its working population might increase by the same number of people that currently live in the United States, 300 million’. Population growth can often bring particularly good news to consumer goods companies. 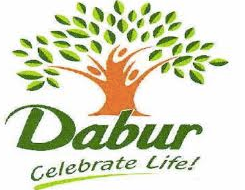 Dabur is the fourth largest consumer goods company in India and produces items ranging from Amla Hair Oil to Real fruit juice. Think of the company as an Indian Unilever. I’ve never used Amla Hair Oil personally but the brand is over 70 years old and had become India’s largest selling hair oil brand by the end of the second world war. Amla remains popular today and I’ve even seen it on the shelves at my local Superdrug store. Looking beyond consumer goods, one would expect the number of telephone users to increase as India’s middle class grows. This would be good news for Airtel, the largest cellular service provider in India, and also the third largest provider in the world. This posting raises some concerns for me about Stockopedia's business strategy. Quantitative data on UK, USA & Europe is welcome though even then I would argue DYOR for US and European stocks is much more difficult as you don't have someone like Paul Scott to provide an 'on the ground' input which can often involve face to face communications with company management. The current strategy seems to be one of extending the core capability (quantitative data provision) to new more obscure markets (accepting that India will one day, maybe, be an economic powerhouse). I would rather see an extension of the core capability in existing geographic markets. Specifically whatever happened to the excellent idea that was 'Stockopedia Smart Money' which I believe would have been very useful to investors (it seemed to fall by the wayside as too difficult to implement?). Also there have been a number of minor product improvements suggested by Ed himself and users which would have been implemented/sorted quickly in the past which don't seem to happen with the same urgency. The Stockopedia product is great and I hope this is seen as constructive criticism but I am concerned you are beginning to spread yourselves a bit too thinly. Andrew, we're working on all the top suggested features on our suggestions board. You are very welcome to vote for whatever features you would most like to see - the more that vote and suggest then the easier it is to prioritise. Please do go and cast your votes at the suggestions portal. International expansion is the second most recommended feature. As a result we're expanding our core coverage across all the major global equity markets. I know that the majority of UK investors are quite biased towards the home LSE market, but we have subscribers from over 86 countries. Many of these customers are British abroad who seek to take advantage of their ability to invest closer to where they work e.g. Australia, Singapore, Japan and Hong Kong. But we also have a huge amount of interest from foreigners begging us to deliver the same kind of quantitative stock analysis to their home markets as we do here. I think it's a wise business strategy to try to fulfil this demand. Financial markets are increasingly global and so are people's personal lives. My wife is Australian and all her family there want to be able to improve their domestic portfolios using our services. David - my business partner - is a Kiwi, so New Zealand market coverage has always been a priority of his. I'm sure we're not the only ones with families and friends around the world. Regarding India - we've got more subscribers in India than from any European nation bar the UK ! Personally, I have always had a love affair with the country. I have travelled there many times since I was young and am captivated by the talent and ability of the Indians I meet. We set up an office in Bangalore 4 years ago and the team there are hugely excited about launching an Indian Stockopedia. Subscribers that are buying our exceedingly inexpensive £200 per annum UK coverage should be very appreciative of the international expansion as it subsidises the amazing work that Paul and the rest of the editorial team do here. The more that the subscription baseis able to grow, the more we can invest in high quality editorial and deliver the feature suggestions that you and others wish for. Smart Money is still pending. It hasn't been shelved, it has just been postponed. We are in the midst of a huge redevelopment project which has taken priority. The whole site is being rebuilt to support the depth of features requested. I hope everyone can remain patient and supportive - it's going to be a great journey. Ed, thanks for taking the time to explain your rationale and I will visit the suggestions portal! Great and timely article. 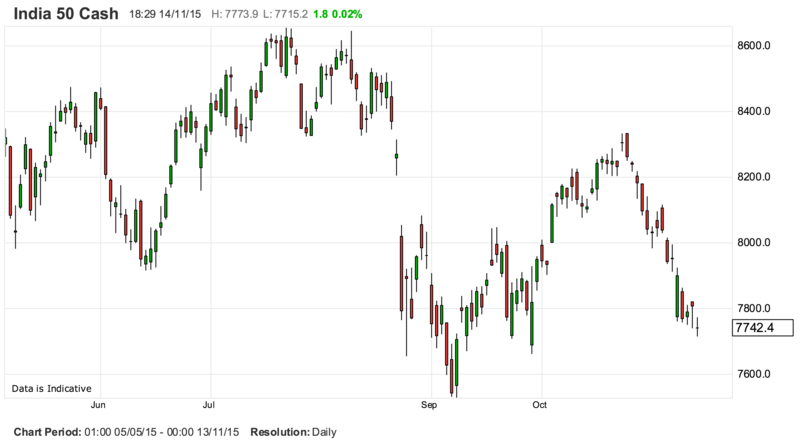 India is safe to invest in, the NIFTY's volatility (ATR, RSI pattern) are somewhere between FTSE and DAX. More importantly, the market is at an earlier stage than the European and US markets, which, as 2015 shows, can no longer be trusted to always go up. By the way, the simplest way to buy the whole NIFTY is as a spreadbet from IG. Two point spread during opening hours. No futures market, so daily gaps happen, although the rarity of this shows it is a high volume traded market. I understand the index is very popular with retail day-traders as FX trading is not permitted in India. Thanks for the article Alex and interesting that Stockopedia are moving in that direction with the StockRanks and maybe even your developers? You mentioned ADR's & ETF's as ways for investors to gain exposure to India. However don't forget if investors want an actively managed fund then there are some investment trusts available at a discount to their NAV's. If it is of any interest to you or other users here is a link to a post I did recently looking at ways of investing in emerging markets etc. via investment trusts recently. Good article Alex, thought provoking. From my own experience, I have always applied collective investments to invest in India, partly due to lack of quality research data for individual stocks and currency hedging. On investment merit, I believe India offers a good opportunity for long-term investors given the expansion in domestic investment and improved prospects for enterprise. I also think current incumbent Modi government and central bank policy is pro sustainable growth and low inflation. However despite India’s BOT narrowing, their external debt has been rising steadily and this may increase short-term uncertainty due to volatility in the Rupee and the main stock markets. Additionally, one of the fundamental challenges that I think the authorities need to iron out is to provide investors with access to quality info that is transparent and measures up to international accounting standards whilst having good corporate governance framework.